Organizing a black tie event may take a lot of work, but the rewards are definitely worth it. A luxurious party with people dressed in their best attire is loads of fun. Preparing for this kind of event doesn’t need to be complicated as you think. Here are some useful tips to ensure that everything goes off without a hitch. You need to decide first how strict you’re going to be with the dress code. The term “black tie” normally refers to the attire worn after 6PM. Men normally wear a black bow tie and tuxedo while women will wear gowns that are below the knee in length. Indicate “black tie optional” on the invitation if you don’t want to give the guests a hard time. Send Out the Invitations on Time. You must send out the invitations at least a month before the black tie event. This will give your guests more time to check their schedule and look for an appropriate attire. Indicate how and until when they can confirm their attendance. Make sure that the dress code is clearly indicated. Emphasize how important it is that they follow the dress code. Make sure that you stick to the theme. Don’t pick anything that might make the event less formal such as balloons. Check that the colors used complement each other. Fabric such as satin or lace will definitely enhance the elegance of the venue. Renting the fabric instead of buying it will help you save a lot of your budget. Forego the usual practice of hiring a DJ or playing songs from an iPad. Elevate the level of source of entertainment up a notch. Hire a band or string quartet if possible. People don’t usually hear live music; this will be a nice change of pace. If you’re working on a tight budget, you can play recorded classical music instead. Cheap beer served on a keg doesn’t have a place in black-tie events. You need to be fancier. Serve sparkling wine or a signature cocktail to help guests be in a fancy and glamorous mood. Hire a bartender and caterer to make things easier for you. 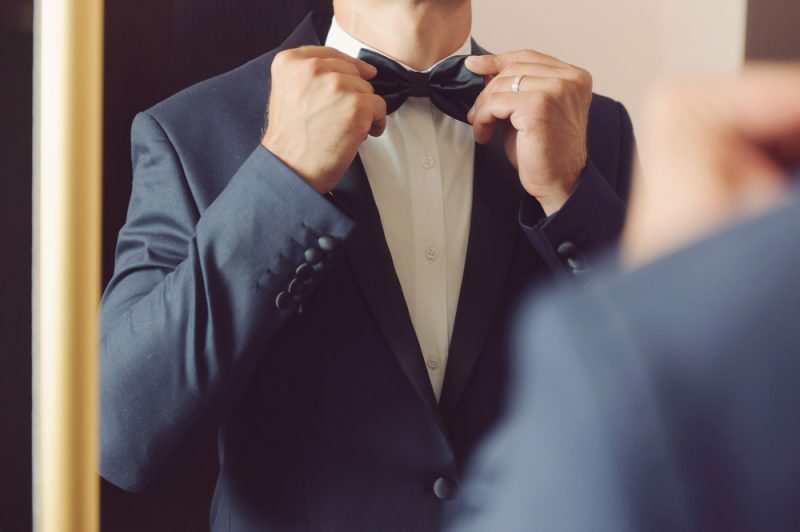 You need to pay attention to the smallest details in order to pull-off a glamorous black tie event. Getting an event planner to iron out the details for you will simplify the preparation process by a mile.